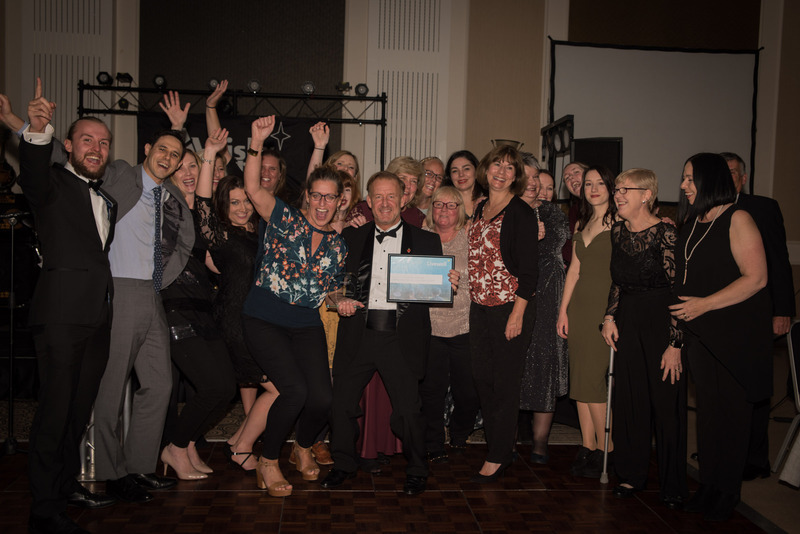 Outstanding work and commitment by professionals to provide the best possible health and social care in and around Plymouth was recognised at a packed awards ceremony in the city on Friday. 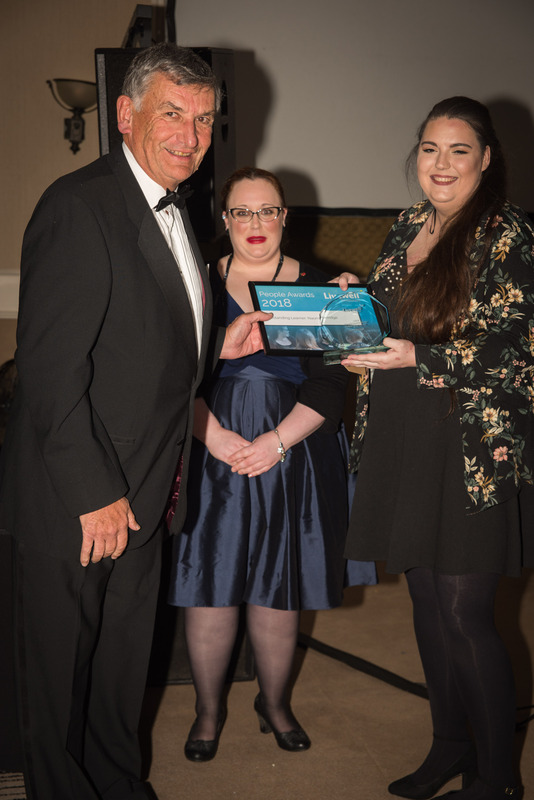 The annual Livewell Southwest People Awards at the Crowne Plaza Hotel held on Friday and attended by staff keen to celebrate the achievements of colleagues. This was the fifth year the event has been held, and once again it honoured individuals and teams who have made a significant contribution to the care and support of people using our services, as well as marking the outstanding contributions that students, apprentices and volunteers make to the organisation. Awards included Team of the Year, Outstanding Volunteer and Employee of the Year, with colleagues submitting nominations for each category. 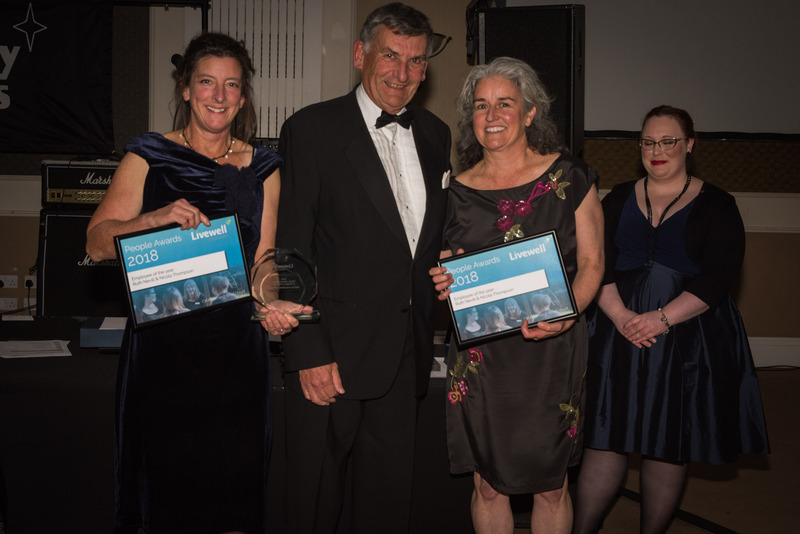 The biggest cheer and a standing ovation were reserved for Lifetime Achievement Awards presented to Anne Prue and Coral Styles. 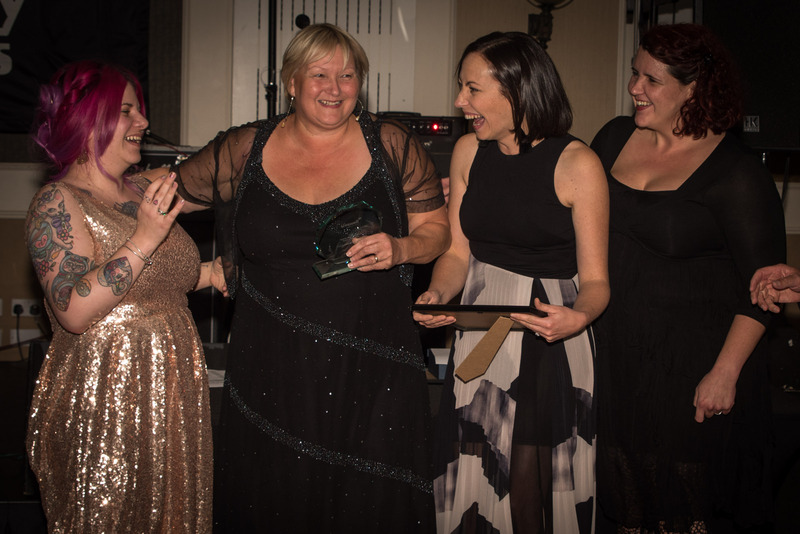 A committed and dedicated nurse for more than 30 years, Coral is a Professional Lead at Livewell Southwest, and one of seven nurses in the organisation who hold the prestigious Queen’s Nurse award. Coral has dedicated her nursing career to community nursing, cancer services, organisational development and staff training and education. One of her many current projects is the Preceptorship of our new graduates, making her instrumental in developing our future workforce. 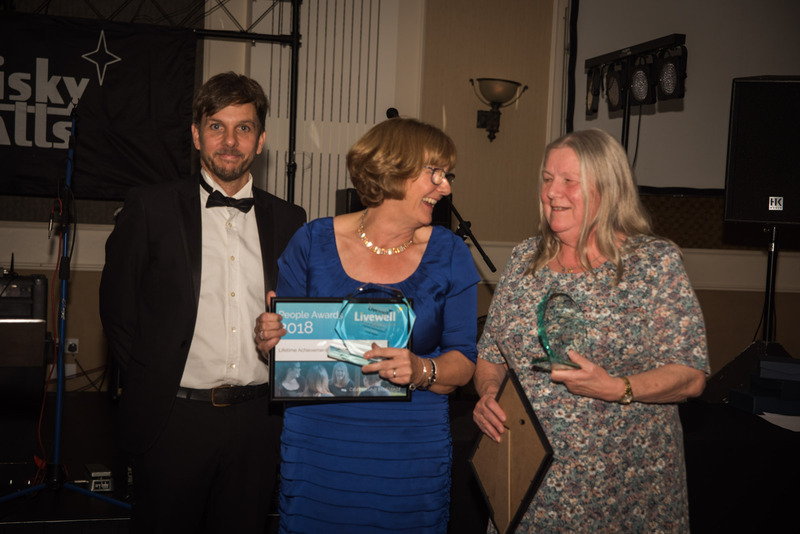 Anne has worked as a nurse, in general and mental health, for more than 40 years and is described by colleagues as an “outstanding, inspiring leader”. As manager for the West Plymouth locality, Anne is responsible for physical and mental health services and social care provision for more than 1,500 people, and her knowledge and expertise are hugely respected by people at all levels of the organisation. Her colleagues value her passion for health and enthusiasm to ensure that competence and high standards are developed and maintained. Dr Adam Morris, Chief Executive of Livewell Southwest, said: “Our organisation is full of people who are committed to doing the best job they can, every day, to make sure the people we care for have the right care at the right time. It’s easy to talk about people making a difference and going over and above – but that really is what I see happening at Livewell every day. 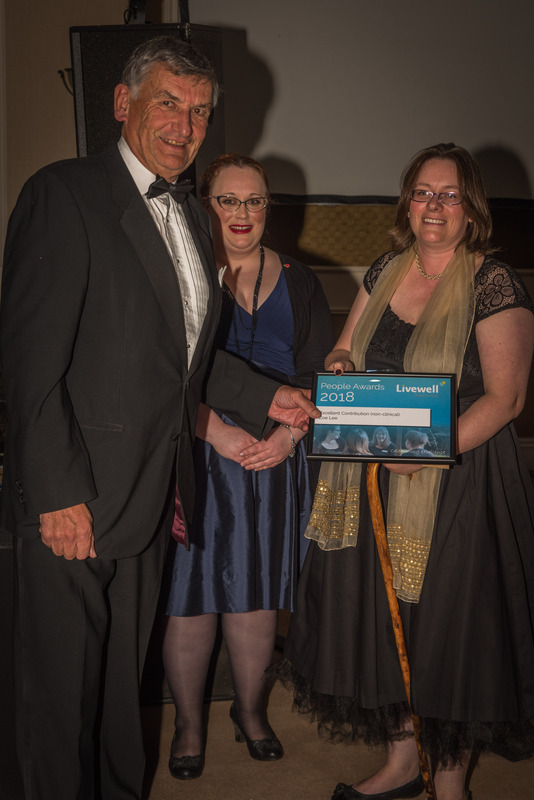 “We have people at every level of the organisation – as these awards show – who focus unfailingly on the person who needs our care and help, who are thinking about things could be done better, and who innovate to make it happen. Jean has been volunteering at the Greenfields Unit for almost two years and has consistently shown respect and understanding, is dependable and constantly working to improve her life and those around her. Over the last two years Jean has grown in confidence and been able to develop her skills to work within healthcare and, specifically, recovery. At the moment Jean helps out two days a week with our therapeutic groups and, more recently, has become involved with our Move On group where she has worked closely with our Occupational Therapist and been able to bring her lived experience to the heart of the group, inspiring hope in others. Jean is invaluable to Greenfields, and we are very lucky to have her. Naomi joined Greenfields in September 2017 as a Preceptor Nurse. She has completed her preceptorship with flying colours; her work with patients is inspiring, consistently showing compassion and a level of understanding that allows for a very trusting therapeutic relationship which has proven to be very successful in her work. 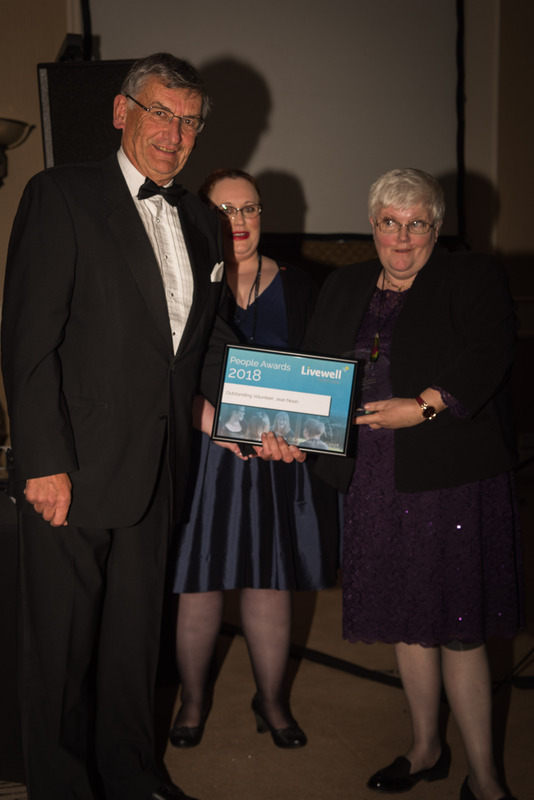 Naomi always goes above and beyond for Greenfields and the people she cares for, and is a credit to the nursing profession, to Greenfields, and to Livewell Southwest. Zoe is the housekeeper on Plym Neuro Rehabilitation Unit. Since taking up this role she has transformed the ethos of the hotel services team with her enthusiasm, inclusivity, team building and inspired initiatives. These initiatives include working closely with our Foundation Year 2 doctor to review current nutritional standards, and changes have included daily fruit pots, individually made pot puddings, and has recently extended to non-alcoholic cocktails such as ‘Plym’s Pimms’. Zoe works collaboratively with Infection Control and Estates teams and has been pivotal to the improvement in the unit’s environmental audits. Zoe has a very proactive and supportive attitude towards working with the multidisciplinary team, and has made a positive, significant impact to life on the Unit. The CCRT are an interdisciplinary team who make a real difference to people in times of crisis. The team members have all embraced working across health and social care to provide the right service at the right time, and have achieved this by carefully blending roles to enable staff to be competent across a range of clinical skills which means less duplication and more efficient use of resources. The CCRT staff go the extra mile to support the people they work with and their colleagues across the wider system. Some examples of this are the support workers providing personal care and support whilst packages of care are commissioned to enable people to remain at home, walking through the snow to get to people in crisis, and supporting inpatient and community teams in times of escalation to support flow. The CCRT has been recognised by external agencies as a great model and something to aspire to. Ruth and Nicola are senior physiotherapists working in Tavistock Community Rehabilitation Team. Their passion, dedication and commitment to improving services for people with Parkinson’s has led them to develop a new exercise group for newly diagnosed people. This group has been received very well and has now been running for just under a year with excellent patient outcomes. Ruth and Nicola have both done some other really brilliant work with people with Parkinson’s. Nicola provides physiotherapy services to the later stage Parkinson’s exercise group for Tavistock, and both have been involved with exercise provider training to educate the third sector. They are also involved in the First Steps programme set up by Parkinson’s UK. The Acute Care at Home Team provides IV treatments and therapies to patients who would otherwise require attendance at a hospital to help prevent unplanned admissions and facilitate discharges. To date the team has saved over 6000 bed days. The team continues to provide an excellent, patient focussed service reducing admissions, facilitating discharges, preventing unplanned Emergency Department attendances and supporting community GP’s to manage patients at home. The Acute Care at Home Team work together seamlessly to provide an outstanding and exceptional service and provide cover and support to each other so the service runs smoothly. Susan is a supportive manager who motivates and inspires her staff. The time and effort that Susan invests in her staff is truly inspirational. As a leader she shows that you can balance a busy work and home life, and offers support, encouragement, reassurance and patience. Her humour, knowledge and experience as a leader is outstanding. Coral is an esteemed Professional Lead, whereby she demonstrates selfless leadership on a daily basis. Her passion for her work and the wellbeing of the people we care for is at the heart of everything she does. 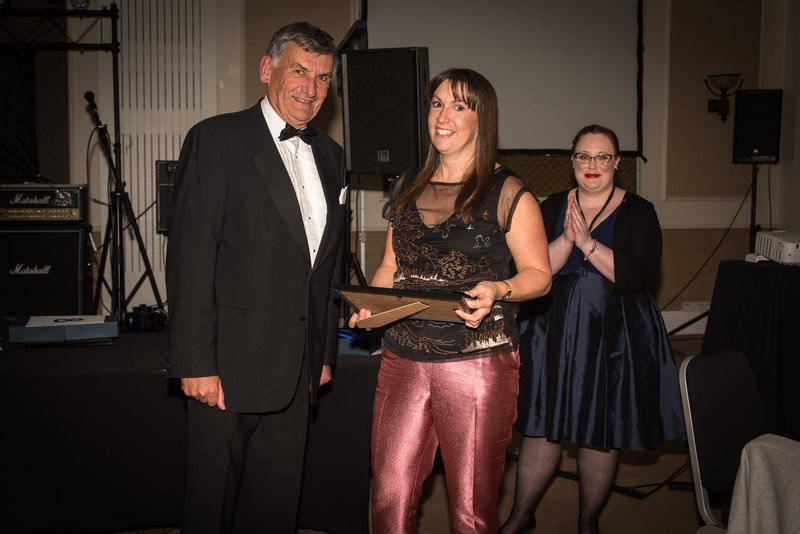 She has proven herself to be committed to community nursing in every way and has been awarded prestigious recognition as a Queen’s Nurse. Anne has worked for the organisation for many years, working as both a physical and mental health nurse. She is an outstanding, inspiring leader. Anne leads by example, she is always there to do what she can to support her managers and the teams she has responsibility for. Anne has dedicated a lifetime to helping others, and both the staff and the people that Livewell Southwest cares for are hugely better off as a result of her dedication and passion for health.